"'The Plague' is parable and sermon and should be considered as such. To criticize it by standards which apply to most fiction would be to risk condemning it for moralizing, which is exactly where it is strongest....What we have to judge is the urgency, for us, of M. Camus' morality. It seems to me to be of so much urgency that we would be wrong to ask how much significance people may attach to it tomorrow. There are certain things which need to be said now, without care for the future, and these are said, even with navet, in 'The Plague. 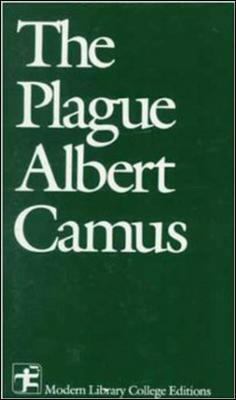 '"Camus, Albert is the author of 'Plague', published 1965 under ISBN 9780075536499 and ISBN 0075536498.